Emily the Strange has a style that has inspired a new generation of little goth girls. She’s a mysterious character but her look is easy to achieve. 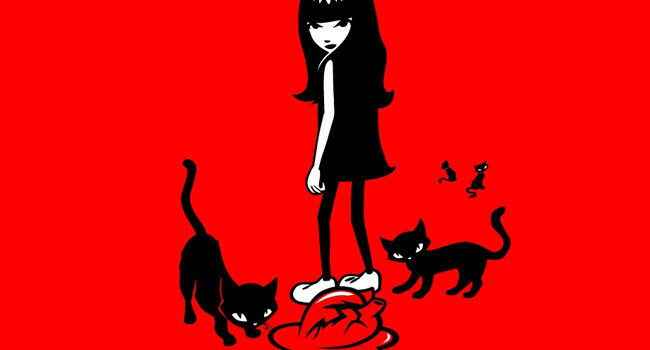 It’s getting a colony of black cats to follow you around that might be the problem. Luckily you can purchase a few stuffed ones to complete your costume.